For our last Throwback Thursday post of 2016, I’m honored to shine the spotlight on children’s book pioneer Cheryl Willis Hudson once again. The Brown Bookshelf is honored to present Cheryl Willis Hudson to our readers. Not only is she an author, she is also a executive in a publishing company she built with her husband. 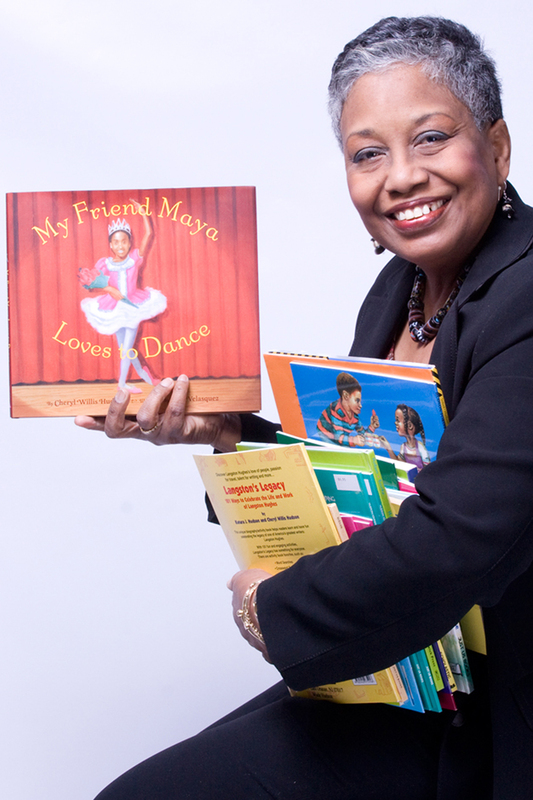 You will be inspired and uplifted by her amazing story of dedication and passion for African American children’s literature. 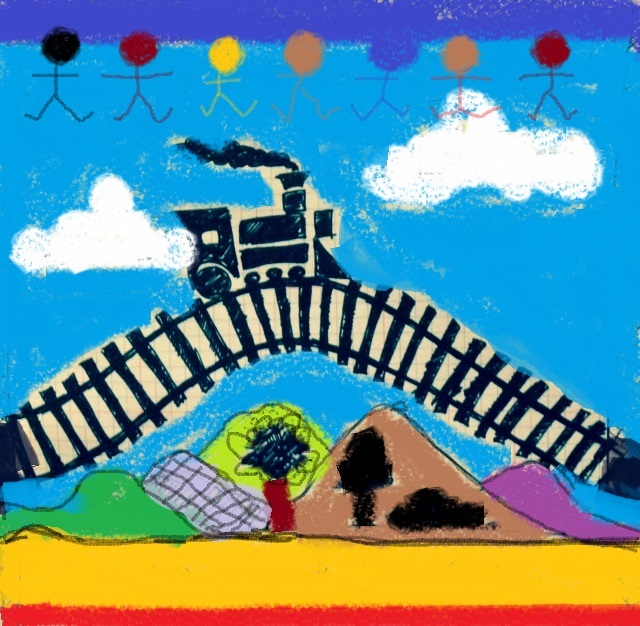 My path in publishing has been one that emerged from my adventures as a grade school doodler and teacher’s helper to that of professional children’s book publisher. As a child, I loved doing book reports where I could embellish book summaries by adding my own drawings, speech balloons and illustrated book jackets. I also helped my mom, who was a teacher, create bulletin boards and posters and correct her students’ homework. I loved making my own greeting cards for friends, cutting and pasting photographs in scrapbooks, reading poetry and nonfiction and doing things with my hands, so finding a career in publishing—specifically children’s book publishing, was a natural progression for me. I’m basically self-taught. My first job was art-editor trainee at a textbook company. The discipline and structure I experienced through that job actually helped me find my own creative voice and express my own vision of what books for children should be. I had a lot of help along the way in terms of personal mentors and some formal classes in typography, graphic design, printmaking and life drawing, and I advanced in my career via a series of jobs in textbook publishing, encyclopedia publishing, trade book packaging and an extended stint as a freelance designer. Years of working in the industry equipped me with the skills to recognize talents in others and to merge them through creative editorial and design direction. Doodling and storyboarding via thumbnails helped to visualize concepts and stories in picture book form for young readers. A powerful awareness of what was missing in books was the impetus for Just Us Books, the publishing company my husband Wade and I started together. When we were unsuccessful and frustrated by not getting our African-American centered stories accepted by major commercial publishers, we had an epiphany. Why not publish the work ourselves? We had voice, a vision, skills and a little bit of savings. I had done dozens of line drawings of African-American kids spelling out their names by bending their bodies in the shapes of letters. We had already made t-shirts and posters featuring these drawings and sold hundreds of them to parents and daycare centers. 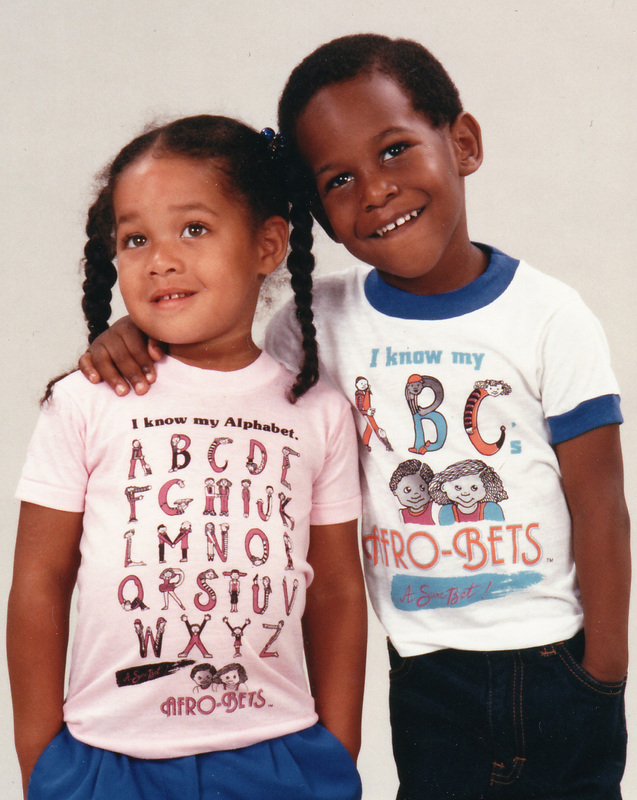 So in 1987, we took a leap of faith, and self-published my doodle-inspired AFRO-BETS ABC Book. 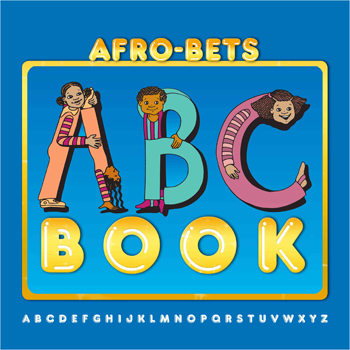 This was followed by AFRO-BETS 123 Book and Book of Black Heroes from A to Z. The rest is history! Wade and I came of age during the volatile and fertile period of the 60s and 70s. Many of our friends were writers and artists and musicians. During our college years in the late 60s, the Black Arts movement informed our perspective of literature. I met Amiri Baraka and Larry Neal and was inspired by their work as writers and critics. I listened to the poetry of Sonia Sanchez and Haki Madhubuti and was inspired by his cultural work and collaborative publishing via Third World Press with Pulitzer-prize winning poet, Gwendolyn Brooks. Wade had worked in SCLC and SNCC with southern voter registration drives and had written plays performed by Black theaters. He had worked as a sports writer during his college years. During the late 60s activist-scholar Barbara Smith and I forged a decades-long friendship through our love of books. When she co-founded Kitchen Table Press, it was a validation that we could do it too. During the summer of 1970, I connected with a few other Black women via the Radcliffe Publishing Procedures Program. That fall, in my first job as a novice art editor, in Boston I met Jerry Pinkney, whose incredible illustrations absolutely floored me. Soon after, Wade and I met in Cambridge, we began to collaborate on children’s story ideas where I designed graphics for poems and stories that Wade wrote. In New York, I took a class with Bank Street educator, Beryl Banfield, a member of the Council on Interracial Books for Children who was looking critically at the lack of diversity in textbooks and actively seeking Black writers to author authentic stories for and about Black children. By 1976, Caldecott illustrator Tom Feelings, Coretta Scott King Award Illustrator George Ford, Golden Books editor Bernette Goldsen Ford and others were great influences through their organization, Black Creators for Children. 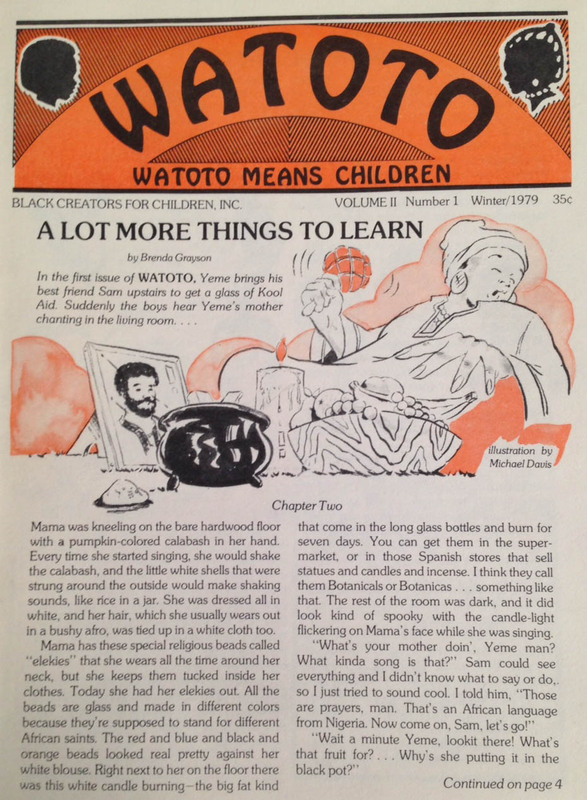 When I joined them, they had established and printed issues of WATOTO, a newsletter for children and had established guidelines/criteria for art and articles by African-American book creators who were just starting to be published by a few commercial presses. At the same time, through another professional organization, Black Women in Publishing, I connected with other peers who were attempting similar goals. Several of my poems, stories and doodles were published by EBONY JR! Magazine and Wee Wisdom Magazine during the late 70s and this kind of encouragement fueled my desire to have more of my work published in trade book form for a larger audience. As a new parent, I loved the work of Virginia Hamilton (Zeely was profound), Eloise Greenfield (Honey I Love), Lucille Clifton (Everett Anderson), Tom Feelings (Jambo Means Hello and Mojo Means One), Walter Dean Myers (Fast Clyde, Cool Sam and Stuff), Leo and Diane Dillon (Ashanti to Zulu), John Steptoe (Stevie) and of course, Langston Hughes (The Big Sea). There just wasn’t enough of it! There needed to be much, much more! When we established Just Us Books in 1988, we made it our policy to hire Black authors and illustrators and editors and designers. We did this to establish a solid, unified, authentic voice and vision. The philosophy of our personal work extended into a corporate mission similar to the creators of The Brownies Book, which was published during the Harlem Renaissance, over 60 years before. 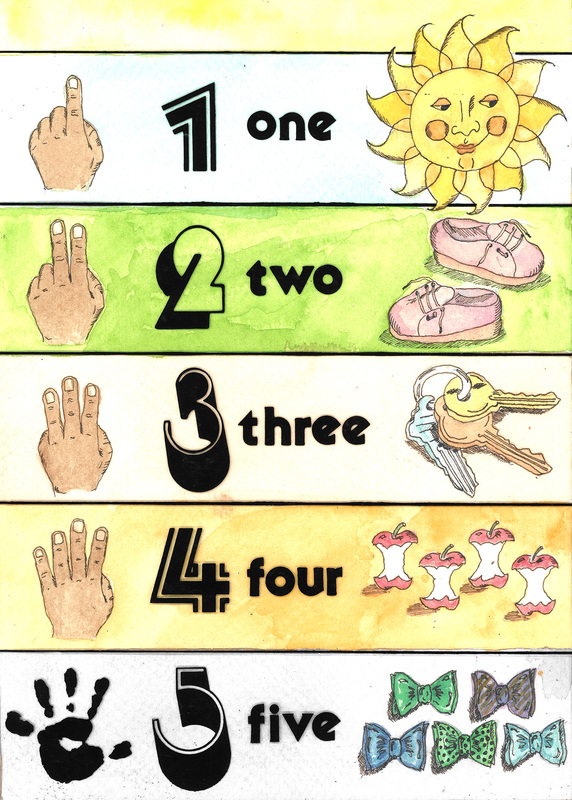 Early conceptual graphic for a counting book. 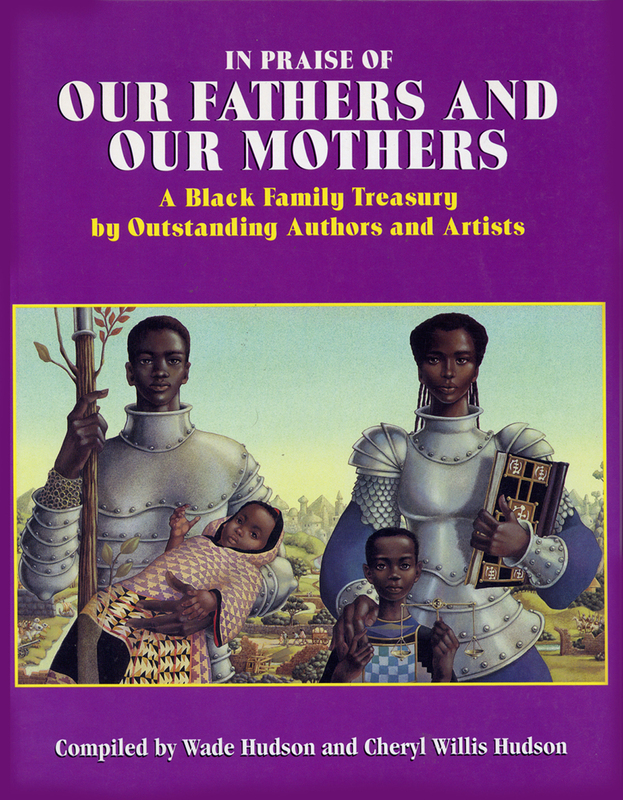 While we published a number of other individual authors and illustrators, Wade and I collaborated on a few titles as editors, including Kids Book of Wisdom and an anthology, In Praise of Our Fathers and Our Mothers, a tribute to the many Black authors and illustrators whose work we respected and admired. This volume was truly a labor of love and it fulfilled a continuing mission of showcasing wonderful work of African-American book creators all in one volume. 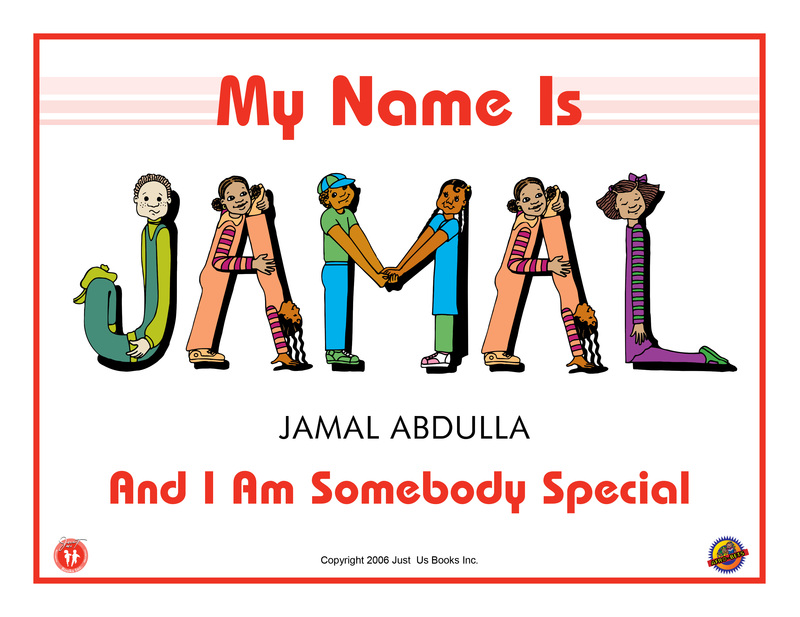 Although I’ve written over two dozen books for children that have been published over the past 30 years, some of my personal creative work has necessarily taken second place to the business of publishing other authors’ works via Just Us Books and later Marimba Books, our multicultural, sister imprint. Dual roles as “Author” and “Creative Director/Publisher” sometimes do battle and fight for attention with one another. As “Author” most of my stories are simply slices of Black life—realistic depictions of children simply going about their daily activities, at school, during play time, or just day dreaming. Some stories have been published by Just Us Books and Marimba Books, which we founded with our children Katura and Stephan, but Wade and I have also partnered with larger publishing companies such as Scholastic and Zondervan/HarperCollins to package other projects. 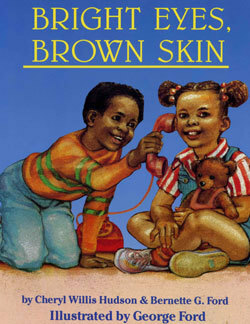 Perhaps my most popular book is Bright Eyes, Brown Skin, a collaboration between myself, Bernette G. Ford and her husband, George Ford, who illustrated the text. This book was published in 1991, but it has become a favorite read aloud book and one of Just Us Books’ best sellers. 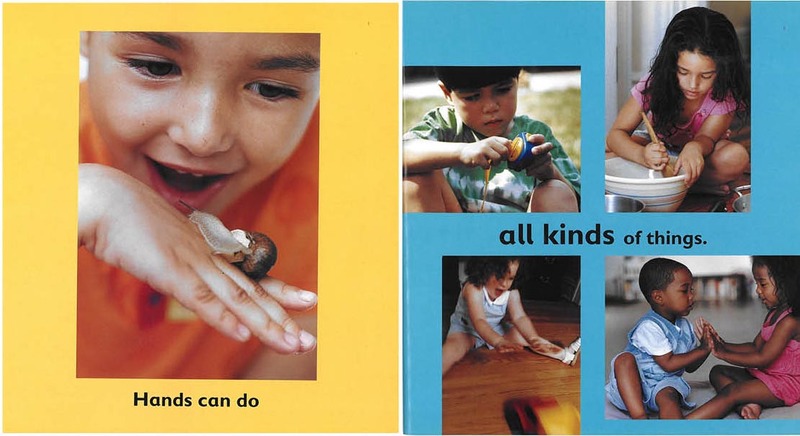 Hands Can, published by Candlewick Press and illustrated with photos by John-Francis Bourke, is also very popular with pre-schoolers. 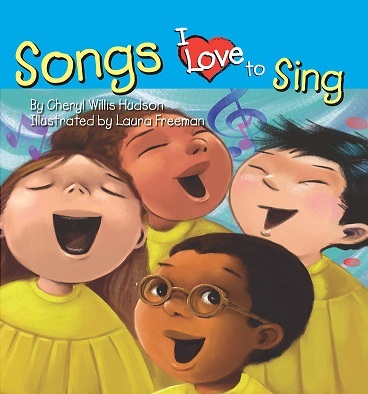 My most recent book, Songs I Love to Sing, illustrated by Laura Freeman, is the fourth title in the “I Love to…” series, which Wade and I created and via a joint venture with our children Katura and Stephan via Marimba Books. My Friend Maya Loves to Dance, published in 2010 by Abrams and illustrated by Eric Velasquez, continues to gain larger and larger audiences of readers who love seeing expressions of that art form. 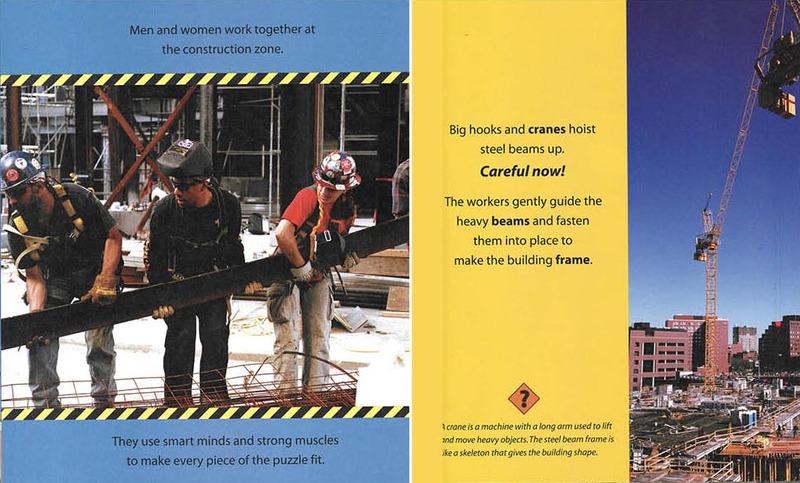 One of my personal favorites is the text I wrote for Construction Zone, because it is nonfiction—a departure from my normal work. It involved quite a bit of research (which I loved) and required a tremendous focus to create a storyline from hundreds and hundreds of images taken by award-winning photographer, Richard Sobol. Distilling simple and informational text from a complex subject into picture book form was a real challenge! As “Creative Director/Publisher” my role is to nurture talent and guide that talent through the publication process, ultimately helping to inspire, engage and empower young readers through final published books. So going full circle, my “doodler” self continues to inform and have conversations with my “director” self and vice versa. I continue to enjoy the process of putting words and pictures together and seeing the creative process emerge in a final concrete product. 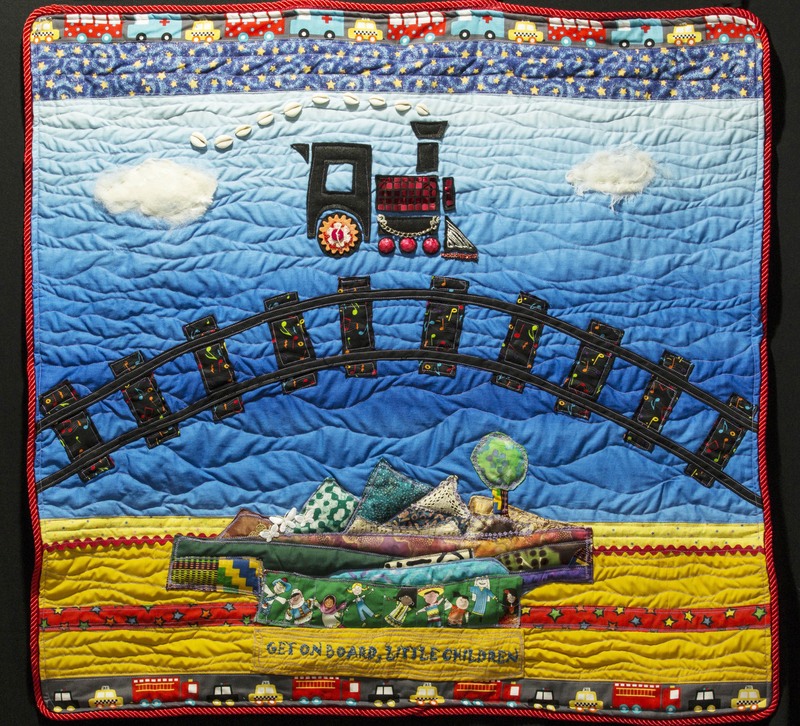 During recent years, I have been making art and telling stories via my new passion, quilt-making. 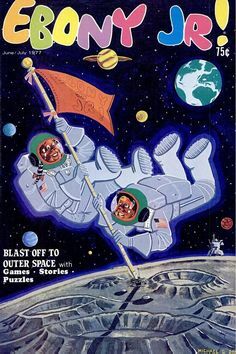 In the future, I would love to create a book for children using quilts as the illustrations. So I have started translating some of my doodles into larger fabric based story quilts. Although there has been some good progress during the 45 plus years I’ve worked in publishing and the almost 30 years of Just Us Books’ existence, there is still so much work to do. 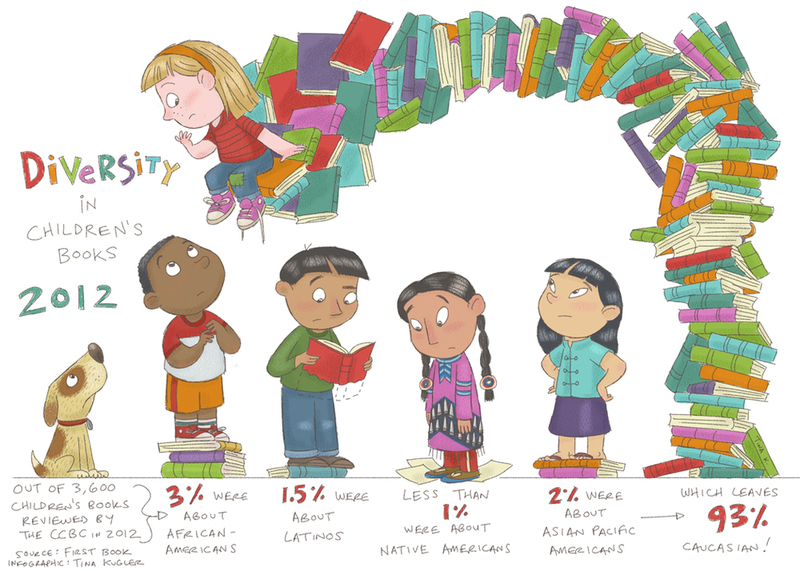 (See statistics on diversity in publishing from CCBC in Madison, WI) Just Us Books is one of the few Black-owned and operated publishing companies publishing for children. We need more independent presses like Just Us Books, Lee and Low and Cinco Puntos Press — that prioritize diversity and inclusion. Larger commercial houses can do a much better job acquiring and publishing works by people of color. They can do a much better job hiring diverse staff on the editorial and creative sides, but also in marketing and sales and in all areas of the business including distribution. Reviewers, journals, bloggers, scholars, schools, libraries, literacy organizations, book fairs and educators also need to be more inclusive and expansive. I am encouraged by the recent attention “We Need Diverse Books” has focused on the important work that we all need to do. Authors like Zetta Elliott have added greatly to the canon and conversation concerning equity. 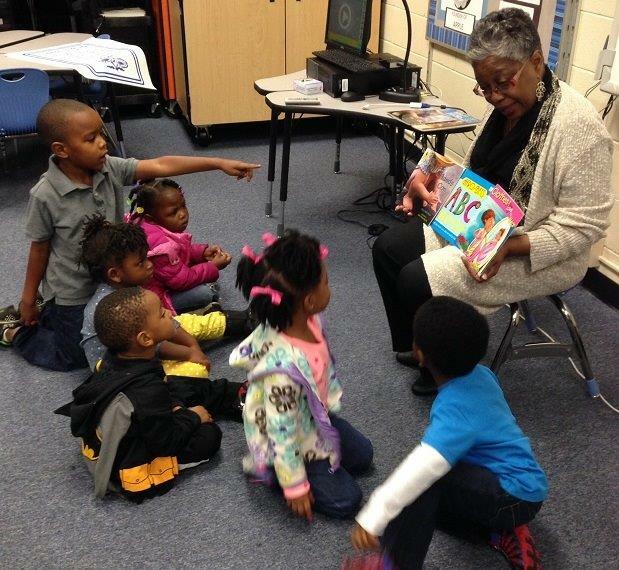 Book fair organizers such as Vanesse Lloyd-Sgambati and her African American Children’s Book Fair in Philadelphia have successfully demonstrated and addressed the need and hunger parents and children have for books that are not readily available in many bookstores. Librarian-educators like Debbie Reese have been diligent in lifting up authentic American Indian stories and dispelling “historical” lies and stereotypes about Native American history. “Reading While White” bloggers have engaged audiences in a paradigm shift. Individual authors and illustrators consistently present their work to audiences of children and young adults who are affirmed by seeing themselves reflected in the literature. Just Us Books, in cooperation with other authors, educators and librarians have created lists of outstanding multicultural books that often are missed on the radar of traditional “best books lists.” (see Multicultural Gems of 2015 and Multicultural Books to Make Your Season Bright) and Wade and I always advocate for inclusion and diversity whenever we speak at schools, libraries and literary conferences. And of course, The Brown Bookshelf has brought tremendous awareness to readers and the industry about the wealth of talented contemporary Black book creators working today. All children have a right to see themselves positively reflected in children’s literature—in all their diversity—free from harmful stereotypes and marginalization. This is not a new concept but one that needs to be recognized and actualized. My hope is that authors, illustrators, book creators and members of the children’s book community will find more collaborative ways of supporting each other and create alternate avenues for publishing diverse stories and voices that need to be heard.